“I want to make sure that every time we get to experience that power and that feeling. That it's new or feels explosive, and important. It's trying to channel all of the stuff you've loved, been influenced by, and trying to find something new." In this episode Ernie Ball artist, Adam Granduciel, frontman and singer/songwriter of The War on Drugs discusses his beginnings with guitar and his passion for songwriting. 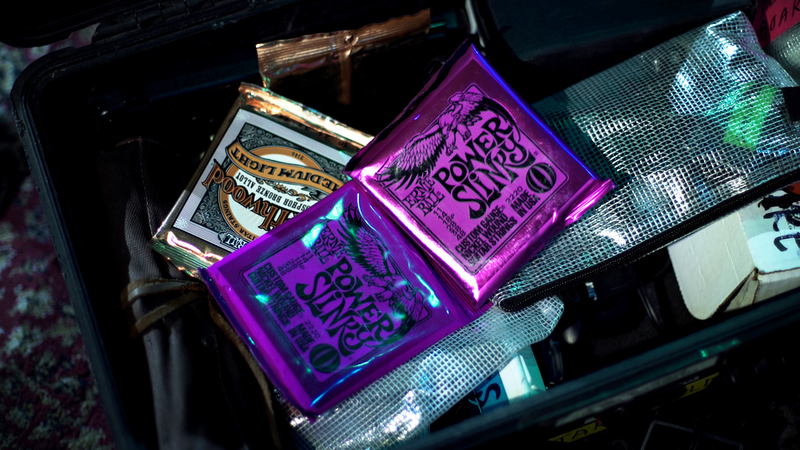 Adam Granduciel plays Power Slinky electric strings, made of specially tempered tin plated high carbon steel producing that well balanced, iconic Slinky tone for your guitar. Click below to find out which set is right for you.